Simon & Schuster, 9781416583318, 336pp. A masterly re-creation of history’s most diabolical villain, Lyndsay Faye’s debut brings unparalleled authenticity to the atmosphere of Whitechapel and London in the fledgling days of tabloid journalism and recalls the ideals evinced by Sir Arthur Conan Doyle’s most beloved and world-renowned characters. Jack the Ripper’s identity, still hotly debated around the world more than a century after his crimes were committed, remains a mystery ripe for speculation. 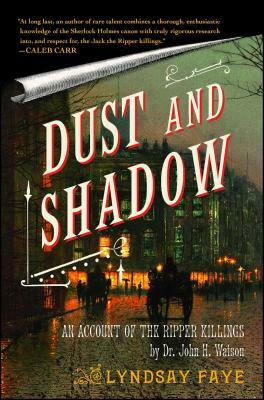 Dust and Shadow explores the terrifying prospect of tracking a serial killer without the advantage of modern forensics, and the result is a lightning-paced novel brimming with historical detail that will keep you on the edge of your seat. Lyndsay Faye is a writer and actress who lives in New York with her husband and cat.